You are wondering how to place an advertisement on our popular Cape Town expat guide? 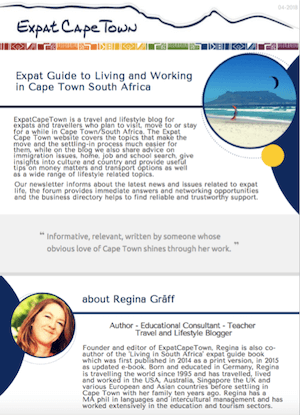 ExpatCapeTown is the Mother City's biggest expat guide specifically written for expats living in Cape Town and the starting point for many expatriate, business traveller or tourist as well when researching a stay or potential move to Cape Town/South Africa. Place an advertisement to the expat community and benefit from our worldwide expat network when partnering with ExpatCapeTown and benefit from our worldwide network. One of South Africa’s most comprehensive expat blogs with over 300 pages of information related to moving to, working and living in Cape Town, our award-winning ExpatCapeTown blog reaches over 420 000 readers from over 170 countries per year. Our unique Cape Town guide provides invaluable insights and shares relevant news on a multitude of platforms. ExpatCapeTown is the Mother City’s foremost blog for expats created by expats. 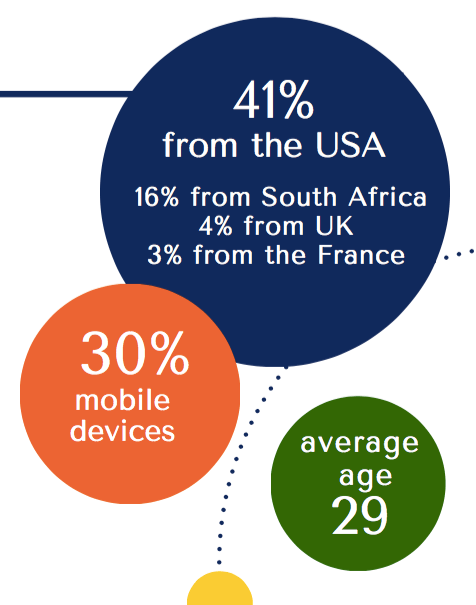 Our newsletter and Facebook forum grow every month and are expected to increase further in readership due to the additional exposure that marketing initiatives for the our expat guide book ‘ Living in South Africa’ provide as well. Read more: Testimonials. ExpatCapeTown’s aim is to provide expats from all over the world with reliable and useful information regarding their relocation and to introduce them to relevant services and support structures for their unique expat needs when moving to and settling in South Africa to make their stay an enjoyable and successful one. We want our readers to be informed and up-to-date with current events and supportive services in the Mother City and thus invite local and international businesses in the tourism and lifestyle sectors to introduce their unique services to our growing network. all who provide relevant first-class services to the Cape Town expat community. We invite these businesses to contact us to share their insights and to receive exposure in our wide network. We partner with local businesses using various channels such as our unique ExpatCapeTown.com website, our newsletter and facebook group and social media channels. We offer various options for promoting your business: Image ads on specific pages, banner ads on the newsletter as well as business listings in our expat directory. We can also design profile pages under a new keyword for your specific business depending on your requirements. Please contact us for discussing your specific requirements. All rates payable in advance. Subscription has to be renewed by you monthly or annually and will not be renewed automatically. Due to limited availability of space, we advise to book and renew your advertisement space as soon as possible to avoid disappointment. We are looking forward to sharing your news, insights and new releases within our community. Please be advised that ExpatCapeTown.com will reserve the right to refuse any advertisement which is seen as contradicting to our values. We do contain full copyright to contents on the website. We do not sell text ad links and we do not take responsibility for availability of your products advertised on our site through your ad. Sponsored guest posts and press trips/tours and visits are accepted subject to our editorial guidelines. Please contact us to discuss your requirements here.